When I was back visiting my family in Tennessee earlier this year, my mom and I had a wonderful time going to all her local quilt stores. At the first store (the store I ship my quilts back to for long arm quilting when they are too big for me to do), I had to buy this crazy fabric with lots of ovals and colors (and let me be honest, I nerded out and thought a lot of the ovals looked like pie charts). After that we had to keep looking for fabrics to match, right?!?!? 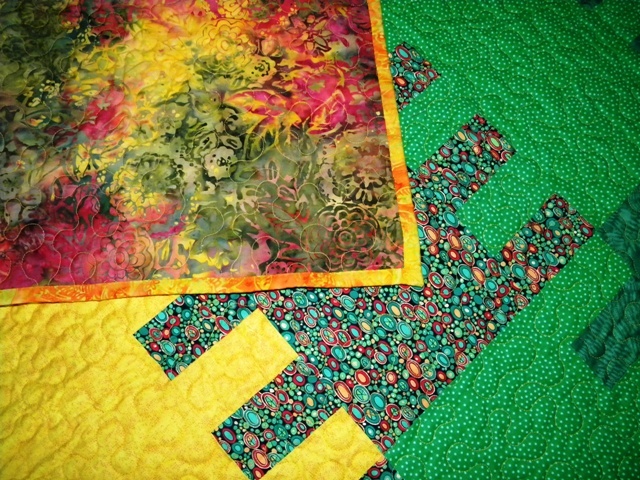 Anyway, by the end of the visit I had plenty of fabric for a quilt, so while the Daytona 500 was on TV, mom and I pre-cut the fabric into a kit. 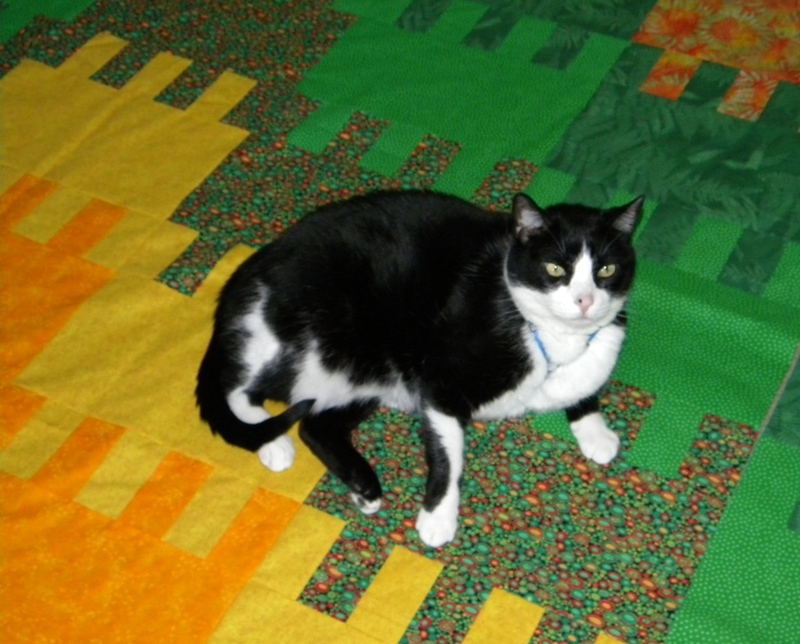 Having the fabric ready to go meant that once I was done with the blue rover, this quilt just “zipped” together. I had the top pieced in a week. Because I got this top done so fast, I sent both it and the Blue Rover off to be quilted together. 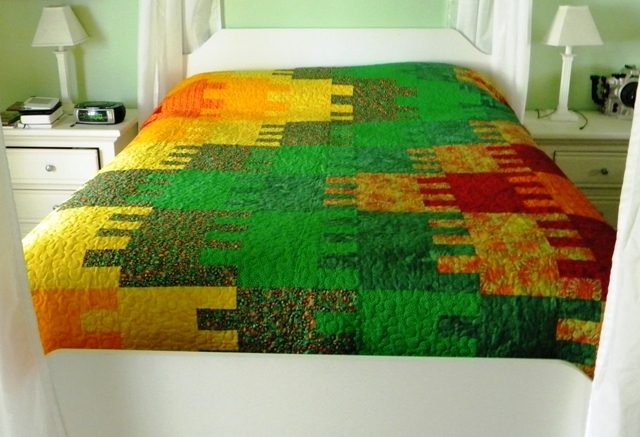 So after a weekend of binding, I have a new quilt for our bed! I’m going to have to pull our wedding quilt off the bed and spend some time repairing its binding next. After sleeping under it for 7 years, it’s a bit frayed. 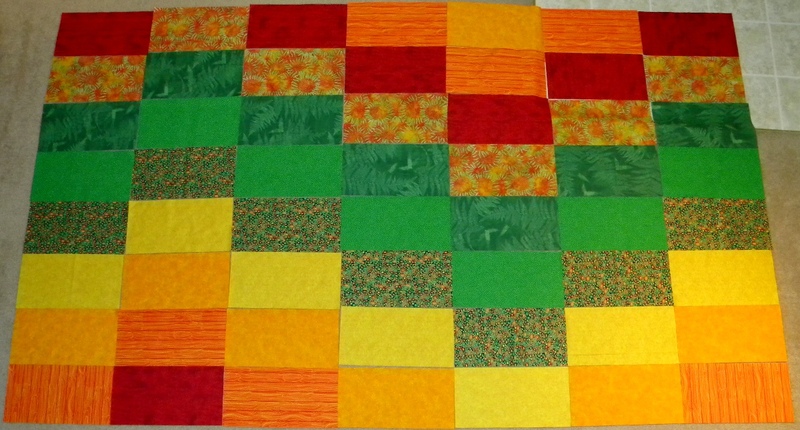 All in all, this was a fun and fast quilt. 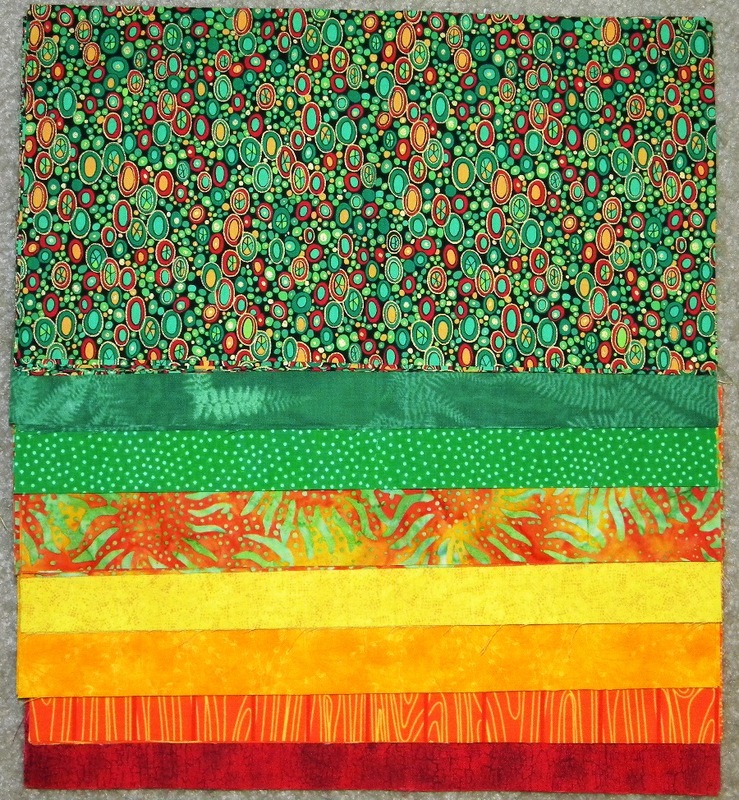 I used a 108″ wide batik backing and a batik fabric for the binding. 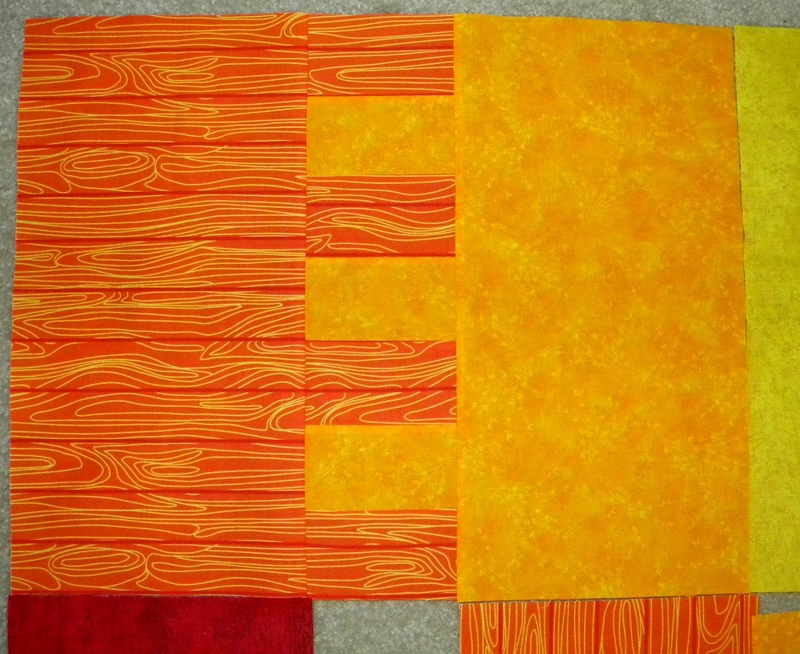 The batik binding was so easy to work with, I should remember that and use batiks for bindings a lot more often!